One of the greatest car manufacturers in the world. Ettore Bugatti was born in Milan, Italy, and the automobile company that bears his name was founded in 1909 in Molsheim, which was part of the German Empire from 1871 to 1919. The company was known both for the level of detail of its engineering in its automobiles, and for the artistic manner in which the designs were executed, given the artistic nature of Ettore's family (his father, Carlo Bugatti (1856–1940), was an important Art Nouveau furniture and jewelry designer). available in our Bugatti Collection at arteauto.com. After World War One, Bugatti was able to obtain at the last minute, a stand at the 15th Paris motor show in October 1919. He exhibited three light cars, the Type 13, 22 and 23, each fitted with the same 4-cylinder 1,368cc engine. 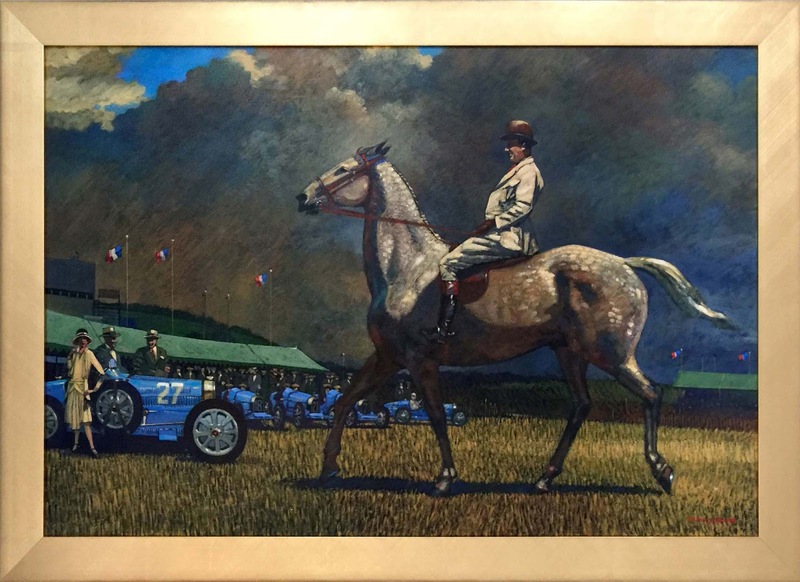 Ettore Bugatti, who considered himself not just a constructor but an artist, ensured that his cars made a good showing. Bugatti Type 13, the smallest of the three models Ettore Bugatti exhibited in Paris in 1919. The company was at its peak during the 1920’s and 30’s, building some very successful race cars and luxurious sports cars. Famous Bugattis constructed during this period include the Type 35 Grand Prix cars, the Type 41 "Royale", the Type 57 "Atlantic" and the Type 55 sports car. The company also enjoyed great success in early Grand Prix motor racing: in 1929 a privately entered Bugatti won the first ever Monaco Grand Prix. Racing success culminated with driver Jean-Pierre Wimille winning the 24 hours of Le Mans twice (in 1937 with Robert Benoist and 1939 with Pierre Veyron). Bugatti cars were extremely successful in racing. The little Bugatti Type 10 swept the top four positions at its first race. 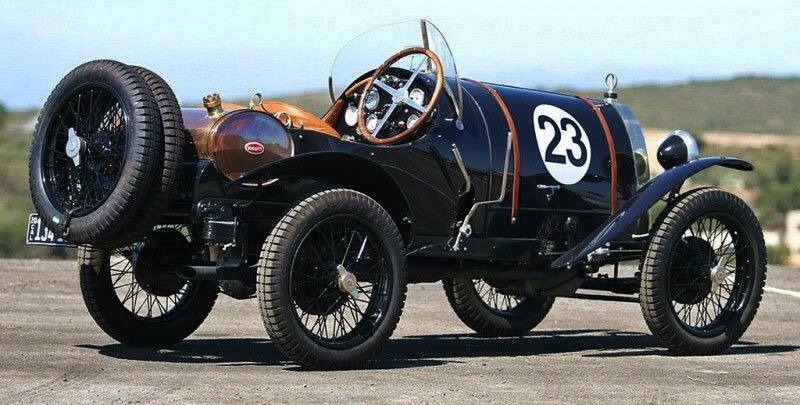 The 1924 Bugatti Type 35 is probably the most successful racing car of all time, with over 2,000 wins. The Type 35 was developed by Bugatti with master engineer and racing driver Jean Chassagne who also drove it in Bugatti’s first ever Grand Prix in 1924, in Lyon. Bugattis swept to victory in the Targa Florio for five years straight from 1925 through 1929. Louis Chiron held the most podiums in Bugatti cars, and the modern marque revival Bugatti Automobiles S.A.S. named the 1999 Bugatti 18/3 Chiron concept car in his honor. But it was the final racing success at Le Mans that is most remembered—Jean-Pierre Wimille and Pierre Veyron won the 1939 race with just one car and meager resources. is a working recreation by Pur Sang. Photo Courtesy of Autoweek. Bugattis are noticeably focused on design. Engine blocks were hand scraped to ensure that the surfaces were so flat that gaskets were not required for sealing, many of the exposed surfaces of the engine compartment featured guilloché (an artistic pattern made trough engine turning) finishes on them, and safety wires had been threaded through almost every fastener in intricately laced patterns. Rather than bolt the springs to the axles as most manufacturers did, Bugatti's axles were forged such that the spring passed through a carefully sized opening in the axle, a much more elegant solution requiring fewer parts. He famously described his arch competitor Bentley's cars as "the world's fastest lorries" for focusing on durability. According to Bugatti, "weight was the enemy". At l’art et l’automobile we appreciate artistry and craftsmanship as much as anyone, and in the case of Bugatti, those characteristics have produced a marque that refines and defines the terms in the automotive industry. For many, the Bugatti Marque represents the pinnacle of classic automotive engineering, and we are hard pressed to disagree. To that end, we have amassed a good collection of items representing this illustrious marque through the decades. 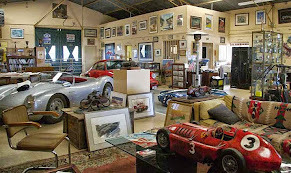 Enjoy looking through the gallery at arteauto.com, and perhaps add a piece to your collection. For more great automotive memorabilia, don't forget to browse the many other categories on our NEW WEBSITE. Remember we also have many more items in our gallery, do not hesitate to contact us if you are looking for something in particular. And as always, be sure to Like and Share on Facebook, Follow us on Twitter, share a photo on Instagramand read our Blogs.